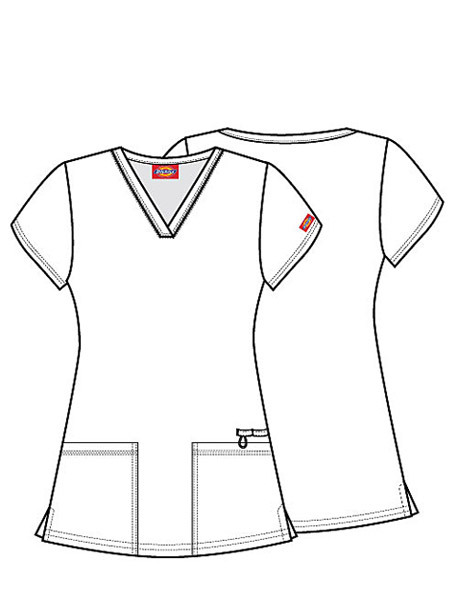 A V-neck top features two patch pockets with instrument slots and a bungee loop above the right pocket. 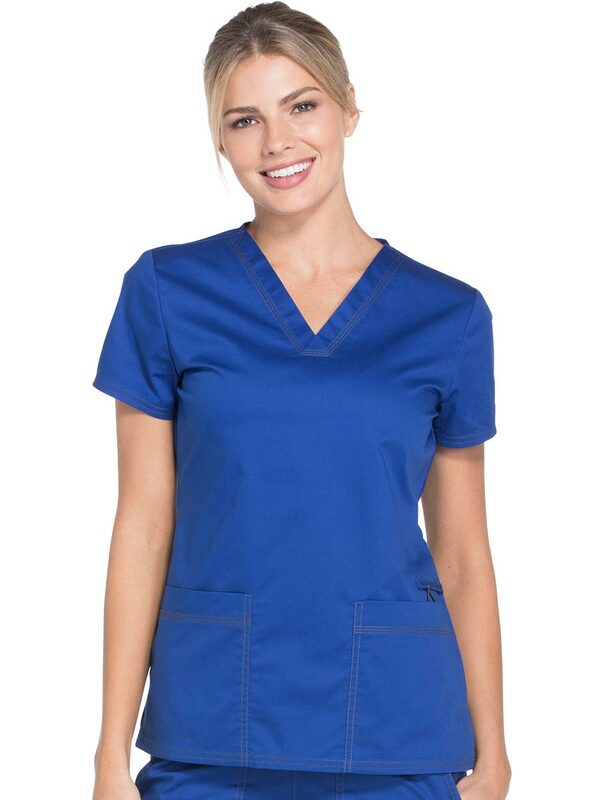 Also featured is multi needle contrast topstitching and side vents. Center back length: 26"